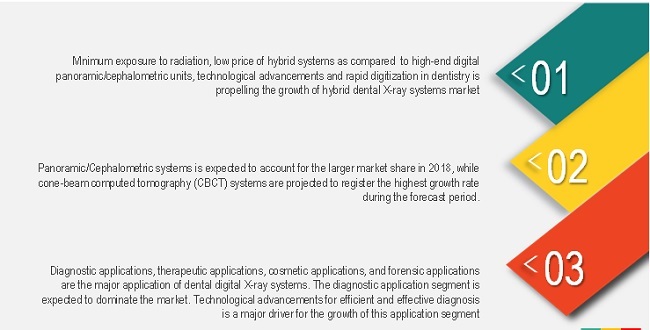 [194 Pages Report] The overall market size for dental digital X-ray is projected to reach $3,290.6 million by 2020, from $2,154.0 million by 2015, at a CAGR of 8.8%, during the forecast period. Dental X-rays are key diagnostic tools used to evaluate the amount of the bone present, alveolar crest, cavities calculus, and other masses in dental examinations. They accurately detect abnormalities which are not visible during routine dental examination. The base year considered for the study is 2014, and the forecast has been provided for the period between 2015-2020. Globally, the occurrence of dental disorders such as dental caries and periodontal disease is on the rise. This can largely be attributed to factors such as increasing life expectancy and growth in the elderly population. Worldwide, around 60% to 90% of school children and nearly 100% of adults have dental caries (source: WHO). In addition to this, increasing incidences of oral cancer have also given rise to an increase in the demand for advanced treatments in dentistry. In 2013, around 7,591 cases of oral cancer were diagnosed in the U.K.; that is, around 21 cases were diagnosed every day (Source: Cancer Research U.K.). Moreover, Cancer Research U.K. estimated that in 2012, more than 300,000 new cases of lip and oral cavity cancer were diagnosed worldwide with incidence rates varying across regions. Apart from dental caries and oral cancer, the growth in the decayed, missing, and filled teeth (DMFT) index is also expected to fuel the demand for endodontic treatments such as root canals and periodontal treatments such as scaling and root planning. The growing number of dental disorders will thus help boost the demand for advanced dental imaging systems such as dental digital X-rays, which are required to diagnose and plan the treatment for these disorders. To track and analyze competitive developments such as acquisitions; new product launches; expansions; agreements, partnerships, and collaborations; and acquisitions in the market of digital dental X-ray. 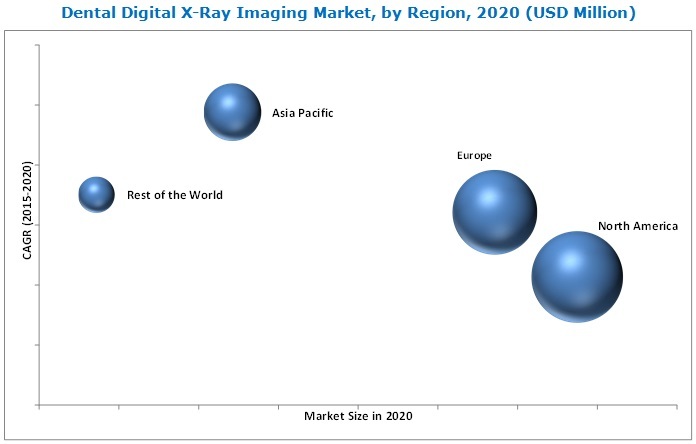 The study estimates the market size of dental digital X-ray for 2015 and projects its demand till 2020. In the primary research process, various sources from both demand-side and supply-side were interviewed to obtain qualitative and quantitative information for the report. Primary sources from the demand-side include general dentists, dental specialists, dental hygienist, oral health professionals, researchers from dental academic and research institutes. On the other hand, the primary sources form supply side include various industry CEOs, Vice Presidents, Marketing Directors, technology and innovation directors, and related key executives from the various players in the dental digital X-ray market. For the market estimation process, both top-down and bottom-up approaches were used to estimate and validate the market size of the dental digital X-ray as well as to estimate the market size of various other dependent submarkets. 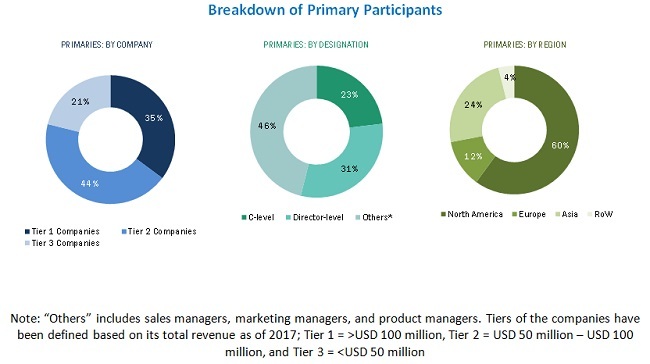 All possible parameters that affect the market covered in this research study have been accounted for, viewed in extensive detail, verified through primary research, and analyzed to get the final quantitative and qualitative data. This data was consolidated and added to detailed inputs and analysis from MarketsandMarkets and presented in this report. In February 2016, Sirona Dental Inc. (U.S.) merged with Dentsply International (U.S.) to form Dentsply Sirona Inc. This merger combined Dentsply’s consumables platform with Sirona’s technology and equipment to offer a broad range of products and integrated solutions for dentistry procedures, such as implantology, endodontics, and orthodontics. In July 2015, SOREDEX entered into a clinical partnership with the University of Belgrade. Through this partnership, SOREDEX focused on providing SCANORA 3Dx to professionals at universities, hospitals, and private practices. In March 2015, SOREDEX launched CRANEX 3Dx, a high-quality imaging system with panoramic, cephalometric, and cone-beam CT imaging programs. In addition, CRANEX 3Dx is integrated with five FOVs (Fields of View) which enable accurate 3D imaging. What are the application areas which the dental digital X-ray companies are exploring? Based on type, the market of dental digital X-ray is segmented into intraoral X-ray systems, extraoral X-ray systems, and hybrid X-ray systems. Hybrid X-ray systems are expected to register the highest CAGR owing to advantages of hybrid systems such as minimum exposure to radiation, lower price of these systems as compared to high-end digital panoramic/cephalometric units, and technological advancements and rapid digitization in dentistry. North America dominated the market, followed by Europe. However, the market in Asia is expected to register the highest CAGR during the forecast period. The growth in the geriatric population, focus of emerging and leading market players to expand in developing Asian markets, rise in disposable incomes, less stringent regulatory guidelines, improving healthcare infrastructure, and growth in medical tourism in this region are primary growth drivers in Asia. Diagnostic applications extensively involve the use of dental CBCT (cone-beam computed tomography), intraoral sensors, PSP (photostimulable phosphor) systems, and panoramic and cephalometric X-rays. These systems help diagnose various dental disorders such as bone loss or infections in the bone, periodontal (gum disease), abscesses or cysts, developmental abnormalities, cancerous and non-cancerous tumors, poor tooth and root positions, and other conditions inside a tooth or below the gum line. Technological developments drive the market for dental diagnostic applications. As new technologies offer efficient and effective treatment, they help diagnose and treat patients in early stages of their dental disease. Also, digitalized dental radiography technologies such as digital dental X-ray and dental CBCT offer advantages such as reduced radiation exposure, image altering ability, and simplified data storage. Such advantages are likely to drive the growth of the dental digital X-ray imaging market for diagnostic applications. In therapeutics, dental digital X-ray imaging is used extensively in restorative treatments such as caries treatment, direct and indirect teeth restoration, and root treatment. Due to technological advancements in dental imaging systems and digitization in dentistry, restorative dentistry has undergone significant changes over the years. Dental CBCT systems are one of the most advanced systems used in restorative dentistry. They provide better treatment and planning by providing accurate 3D images of teeth, jaws, and other vital structures. Moreover, these systems are equipped with virtual treatment planning software which helps dentists in planning treatments. Hence, dentists replace or add such advanced imaging systems to their dental practices to gain competitive edge in terms of better image quality and thus offer better dental treatments. Various other dental digital X-ray imaging techniques such as cephalometric X-rays, intraoral radiography, and panoramic radiography are also used for dental therapeutic applications. Cosmetic dentistry deals with procedures used to improve the appearance of a person’s teeth and gums, through improvement of dental aesthetics such as color, shape, size, and alignment of the teeth. Cosme tic dental procedures include dental implantology, teeth whitening, fillings, tooth bonding, smile makeover, and periodontal plastic surgery. Intraoral cameras provide well-defined, clear images and are relatively low priced; hence, they are widely used in the cosmetic dentistry. The advent of such dentist- and patient-friendly technologies drives further growth in the market. The demand for CBCT systems is growing significantly in cosmetic dentistry for accurate planning when placing dental implants. CBCT systems help create high-resolution 3D images for ridge mapping, location of vital anatomical structures, and for proper planning and placement of dental implants. Less exposure to radiation as compared with other imaging systems is a key advantage of these systems. Dental digital X-ray imaging helps criminal detection and forensic dentistry departments to identify suspects based on their dental evidence. These departments use digital dental images to identify the human remains found on the site of crime; assess the intensity in case of bite injury; and examine the extent of abuse in case of children, women, and elder victims. They are also used for estimating the age of the culprit as well as in the civil cases of misconduct. Who are the key players in the market, their recent developments & key market strategies? The overall market of dental digital X-ray is highly influenced by the reimbursement scenario in a given geography. The number of patients in a country opting for dental care and the resultant demand for dental products and services in that region depends on the level of awareness and affordability. Insurance policies in developed countries such as the U.S., the U.K., and Germany provide limited coverage for dental procedures. In the U.S., around 50% of the expenses are paid by the patient and 50% by the insurance policy; whereas, in Germany, about 50% to 60% of the expenses are covered by both the government and private insurance policies while the remaining is self-paid. The developing countries, on the other hand, show limited scope of reimbursement. In China, 85% of the expenses are self -paid and in India there is no insurance coverage for dental care. Only 20% of India’s population falls under the middle -class population and can afford dental treatments. This limited affordability by the population in developing nations is expected to restrict the growth of the market to a certain extent. The dental digital X-ray imaging market is highly competitive market with presence of several big as well as emerging players. Danaher Corporation (U.S.), Carestream Health, Inc. (U.S.), Sirona Dental Systems, Inc. (U.S.), Planmeca Oy (Finland), Vatech Co.Ltd (Republic of Korea), LED Medical Diagnostic, Inc. (Canada), The Yoshida Dental MFG. Co., Ltd. (Japan), Midmark Corporation (U.S.), Air Techniques, Inc. (U.S.), and CEFLA s.c. (Italy) are some of the prominent players in the dental digital X-ray imaging market. 13.4 Sirona Dental Systems, Inc.
13.7 LED Medical Diagnostics Inc.
13.8 The Yoshida Dental Mfg. Co. Ltd.
Table 171 Carestream Health, Inc.
Table 172 Sirona Dental Systems, Inc.
Table 174 LED Medical Diagnostics Inc.